Welcome to Sullivan Electric Services Co, LLC, providing unparalleled electrical services for residential and commercial customers in the Atlanta metro area. 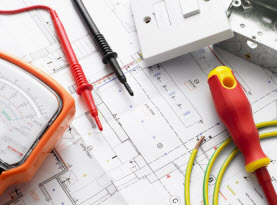 Our comprehensive services include superior technical attention to a number of electrical issues including new construction, panel upgrades, troubleshooting, service and repairs, emergencies, wiring/rewiring, generators, phone systems, cable installation, repair and fan systems to name a few. Our goal is to provide each and every customer with a level of service and satisfaction that far exceeds their expectations. Family owned and operated we are licensed and insured so you can be assured that you are in good hands. 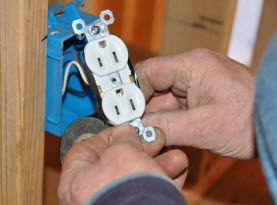 We have over 30 years of combined experience in the electrical field. We are renowned in the industry for providing premium services at prices that are affordable. We provide upgrades on all makes, models and sizes of electrical panels at prices that are won’t break the bank. 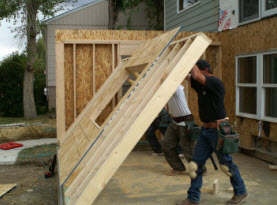 We install high quality products that are guaranteed to last. Once permits have been received, main panel upgrades can be installed by our licensed electricians and the appropriate power company inspections performed. It is not uncommon to find that older homes in the Atlanta Metro area may not have sufficient power or grounding available to keep up with the demand of new technology. We can provide an upgrade in your electric panel along with an upgrade to your meter socket, and wire size between the meter and panel grounding rods to ensure you receive optimal service from your upgrade. At Sullivan Electric, we install ceiling fans into rooms that are either fan ready, or into rooms that require installation of wiring along with the box and brace. Our qualified electricians will take the time needed to ensure that each ceiling fan is correctly installed including making sure that the fan is properly balanced to avoid any shaking and distortion. 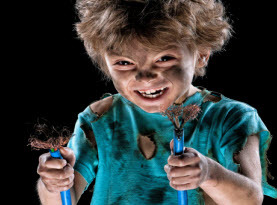 Our electricians can advise you on the appropriate size fan and once you have decided, we can tackle the rest including a detailed cleanup once the job is completed. Lighting can increase the illumination and beauty of your home or business, professionally installed lighting can also increase the value of your home along with enhancing your living space. Our knowledgeable electricians can provide installation services for all types of indoor and outdoor lighting including recessed can lights, LED lighting, landscape lighting, motion lights and pendant lights. Sullivan Electric is recognized in the Metro Atlanta area for providing lighting that is not only a statement piece but lighting that is also reasonably priced. At Sullivan Electric, we provide 24/7 emergency services and you can be assured that we will respond quickly when you are experiencing an electric malfunction. Our electricians and service technicians will arrive promptly in a fully stocked vehicle to ensure that your requirements can be fulfilled immediately. Our electricians and service providers are friendly, knowledgeable and skilled to provide you with the service you deserve and the level of quality you have come to expect. We guarantee it! Contact the professionals at Sullivan Electric today and speak with a knowledgeable customer service provider about your electrical repairs, upgrades and installations. We specialize in wiring, re-wiring, service upgrades, panel upgrades, outlets, dedicated circuits, breakers, surge protection, time clocks, switches, interior lighting, exterior lighting, LED lighting, landscape lighting, security lights, installation of fixtures, recessed cans lights, security cameras, low voltage and more. 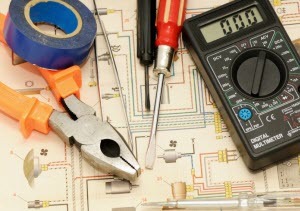 Call us today for all of your electrical needs. Please let us continue lighting up your life. After all, “we light the world the most excellent way”.